Seems the confusion over the availability of eight limited-edition, coloured vinyl versions of Paul McCartney’s Archive Series releases (so far) has been cleared up. After a week of silence on just how and where these could be purchased, both the Universal Music UK and Universal Music US sites are now listing them again as being available for pre-order, with a shipping date of November 17th. However, there’s still a lot of confusion in the UK over the pricing of the coloured vinyl editions…. Meanwhile, there’s even more news on the coloured vinyl front. The official Record Store Day site has this week confirmed that two Paul McCartney vinyl singles (one red, one green) will be available in limited numbers as part of their Black Friday special event. 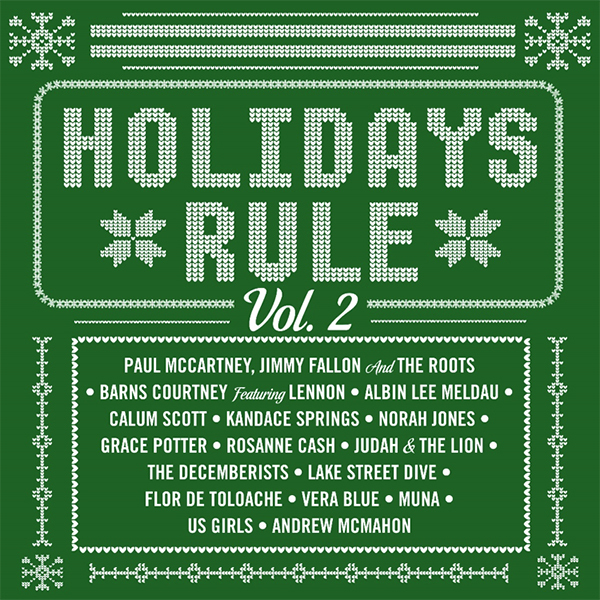 The red single will be Paul McCartney and Jimmy Fallon (backed by The Roots) singing a version of ‘Wonderful Christmastime’. The B-side is Norah Jones singing ‘Peace’ (recorded live at the Sheen Centre). The green single will have the same version of ‘Wonderful Christmastime’, but this time the B-side will be a song called ‘Jesus Christ’ performed by The Decemberists. Only 3,500 of each are being pressed apparently, so it looks like these may join a 2012 McCartney RSD Black Friday coloured vinyl Christmas release, ‘The Christmas Song (Chestnuts Roasting on an Open Fire)’. This was also issued on red and green vinyl in very limited numbers. Both have become a rare and collectable items. This entry was posted in Uncategorized by beatlesblogger. Bookmark the permalink.